When you hear about ghosted images in relation to designs one might instantly think of watermarks. With ID cards this is not the case. When an ID has a photo of an employee on it you can have the option of a ghosted image of that employee. Essentially, the image of the employee is duplicated then made smaller and faded. As you can see in the image below the card has two images of Mr. Bower. The second image is black and white and ghosted so that it isn’t prominent. Of course, to have a ghosted image that does its job security-wise it does not have to be black and white, it can be color as well. A ghosted image is good for a couple of reasons. The most important being that it offers extra security. 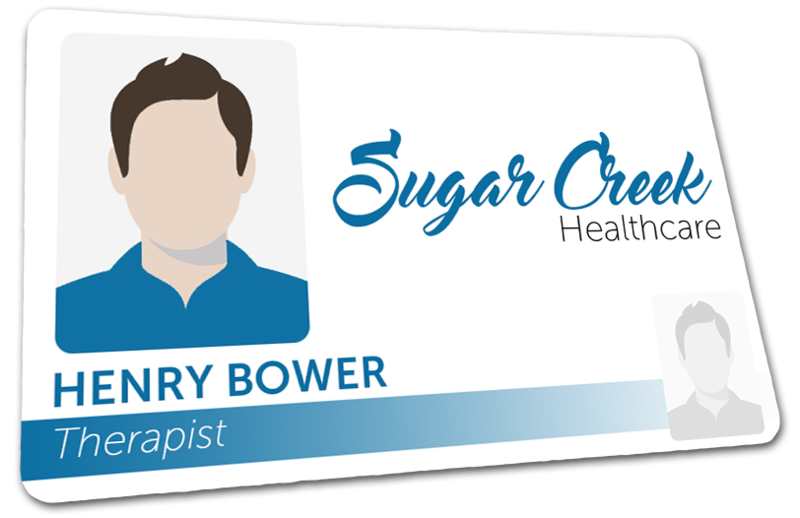 A ghosted image is hard to replicate as, when dealing with equipment and software meant for ID card creation, only specific styles are capable of adding this finer detail. The good thing about this small addition of security is that it doesn’t add to the cost of the card. When it comes to ID badges good security is essential. With InstantCard opting in for this small, but effective feature doesn’t cost anything and looks good! Which touches on my next point. That is you may want a ghosted image because, in a lot of cases, it is a nice addition to the design and makes the card look very professional!